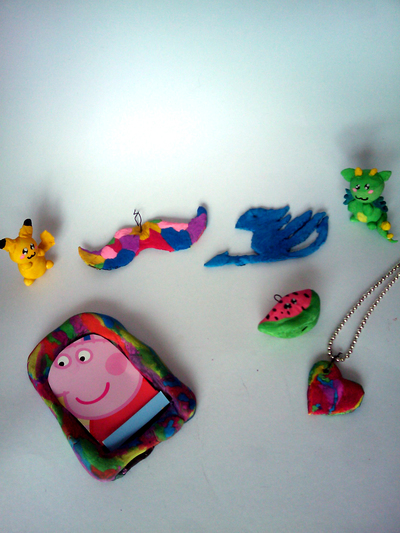 Making your own jewellery items and mini figurines can be a fun activity these holidays. 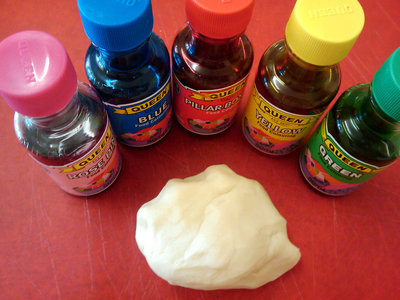 Art and craft stores sell ready made clays ready to bake or even ones that don't need baking, but since I love to expand my creativity, I learnt how to make my own clay with simple kitchen ingredients. Mix the flour, salt and oil together in the bowl. 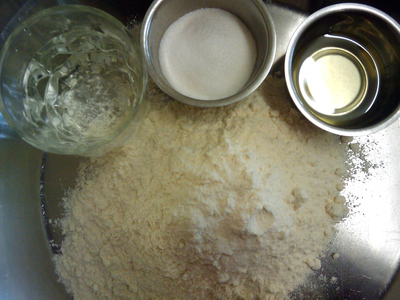 Add 1 cup of water to the flour mixture and knead like a dough. Keep adding the other half cup as needed little by little. 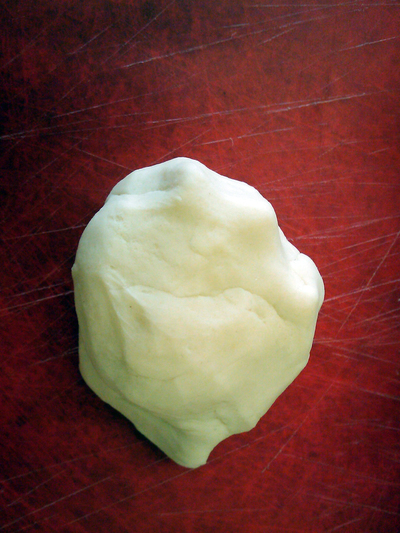 Keep kneading till the flour does not stick to your hands. 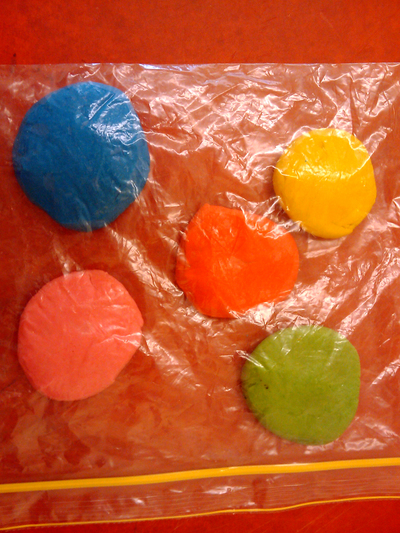 Divide the dough into five equal portions or more if you want more colours. To each portion add a few drops of food colouring. 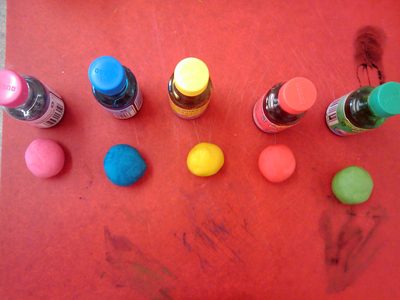 Here i have added pink,blue,yellow,red and green. Once you have coloured them store them in zip lock bags for one to two hours in the fridge. Take them out of the fridge and mould into whatever shape you like. 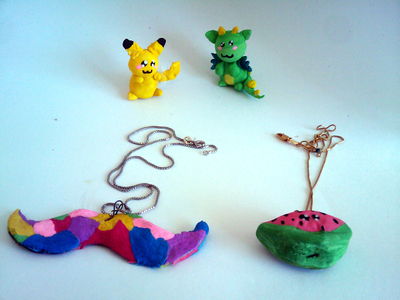 Pendant, pikachu, dragon, moustache or a frame look alike are a few ideas. 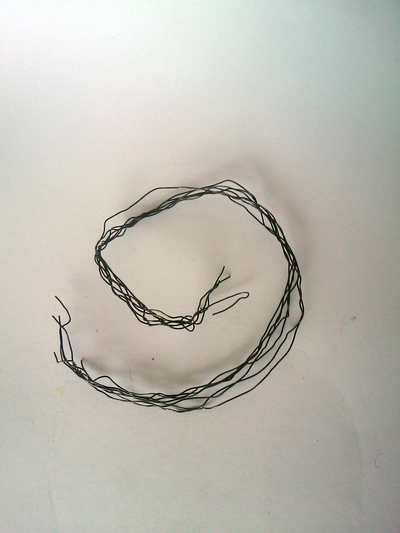 If you are making a pendant make a tiny hole with a pencil for the wire loop. Put them on baking paper and bake your creations in the oven for half an hour in 110 degrees Celsius. If you put too many figurines at a time in the oven the baking time will increase. After baking, let them cool till they turn hard. If they are still soft put them back in the oven and bake for a few more minutes. Once cooled you can paint them and decorate or wear. The moustache is a cute idea!